An Exotic Honeymoon package in Kerala which is one of the most romantic destinations in the .For any honeymoon, Kerala is without equal. The climate and the scenery conspire to produce a breathtakingly beautiful panorama of hills, mountains, lush valleys, secret waterways, picturesque lakes and stunning palm-fringed beaches. 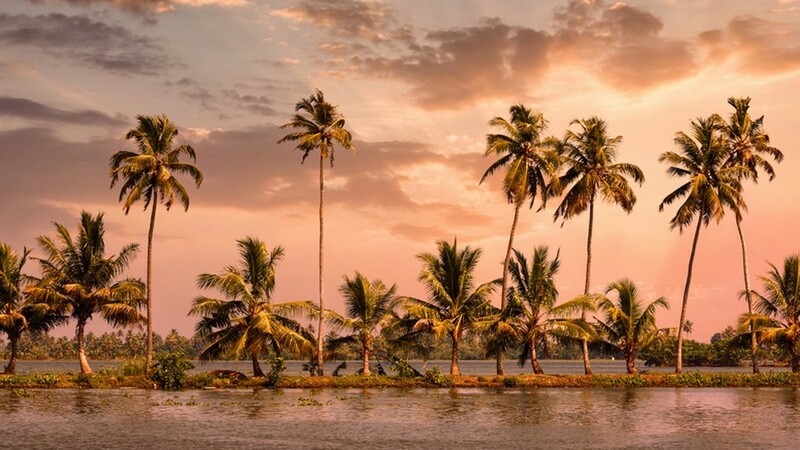 If you could wish for a tropical paradise then Kerala is it. 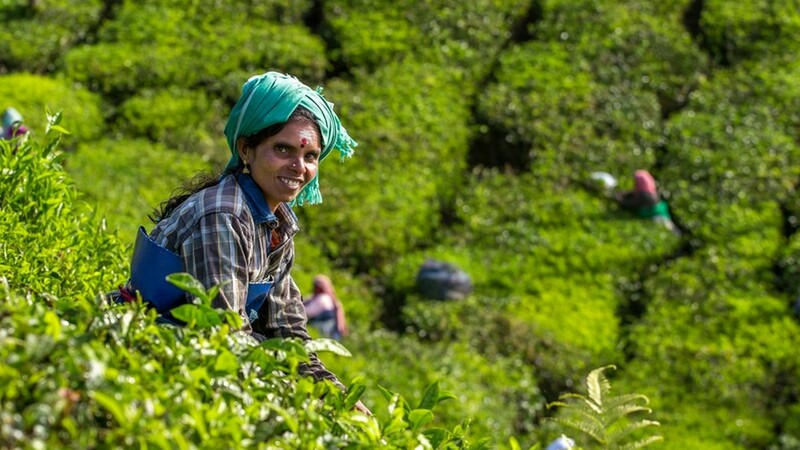 Warm Indian hospitality, exotic birdlife, amazing wildlife against a backdrop of tea, coffee and spice plantations will ensure you will never forget your honeymoon in Kerala. Tailor your package with activities to suit your desires, create a dream honeymoon in this little piece of paradise and leave with last memories that will stay with you forever. Your first journey in Kerala will be from the airport to Munnar, an approximately four-hour drive during which time your chauffeur will stop to let you drink in the fantastic views. Green verdant hills bisected with steams and picturesque waterfalls, bathed in warm sunshine, will confirm that you truly have arrived in paradise. Take in a visit to the Elephant Training Centre at Kodanad, a chance to watch mothers with their young bathing and also enjoy an Elephant Safari. A hotel in Munnar is your destination. Relax over dinner, take in a little cookery demonstration and enjoy a late night walk under the stars. 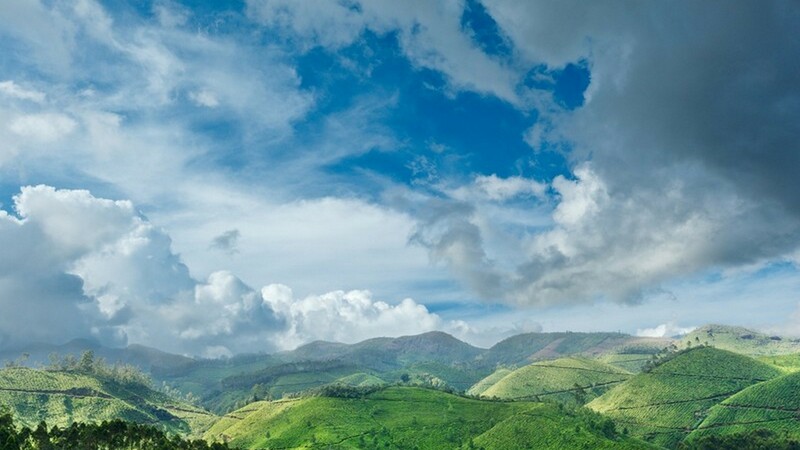 If you fancy something energetic on your first day in Kerala then head out into the beautiful landscape of this ancient hill station. 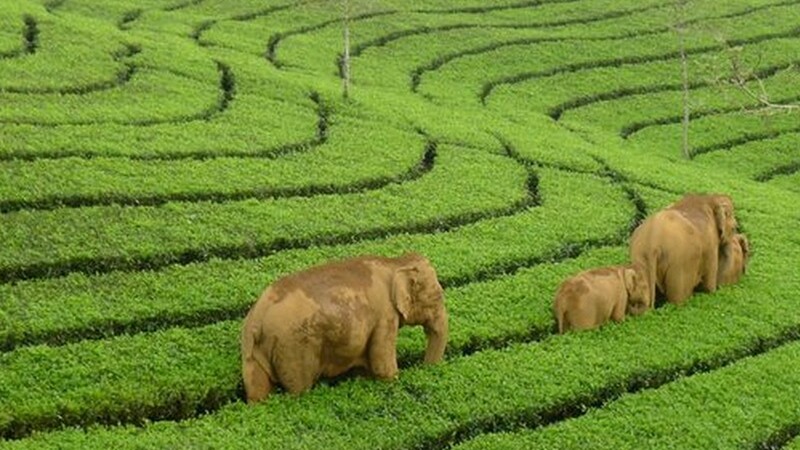 Munnar is the mst visit among all Kerala Honeymoon Places. Enjoy a romantic lakeside picnic at Mattupetty before wandering back into Munnar for a relaxing afternoon tea at the Tea Museum. The surroundings at Munnar are breathtaking and the perfect backdrop for some peaceful romantic time on your honeymoon. There is flexibility in both the itinerary and the offering so you can tailor your day to do exactly what you feel like. You will be spoilt for choice. Kumarakom is a destination where you can relax and enjoy all the beautiful features and amenities of one of India’s largest lakes, Lake Vembanad. 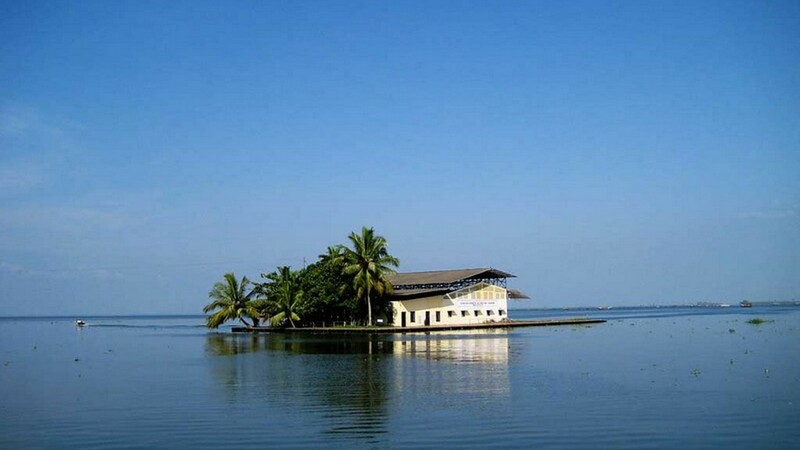 Kumarakom is a little group of islands on the Lake, both enchanting and mystical. Mingle amongst the waterside communities who live simply at the water’s edge earning their living. Enjoy the beautiful waterways and inlets on foot and by boat, a sunset cruise amongst the coconut groves awaits the newly weds on arrival in Kumarakom, there can surely be nothing more romantic. Visit the Kumarakom Bird Sanctuary with a local guide who can inform and educate you on the different species of birds set on the banks of Lake Vembanad. This fourteen-acre reserve is home to many beautiful water birds and other species attracted by the Lake. Boating and fishing are popular in Kumarakom but why not trek to the Aruvikkuzhi Waterfall, a powerful torrent of water hidden in a secret and secluded spot, a refuge of peace and serenity for that special moment alone. Back at the resort, enjoy a complimentary consultation with an Ayurveda doctor before dining at your lakeside hotel. 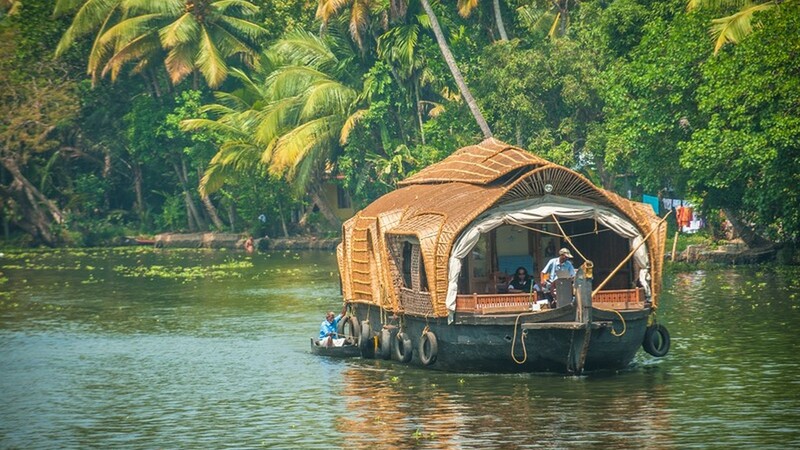 Alleppey Houseboat will surely be one of the high spots of your honeymoon. Journey from Kumarakom to Alleppey where a traditional Kerala houseboat complete with a thatched roof will gently wind its way amongst the backwaters and inner pools before mooring for the night so you can sleep onboard. All meals are provided on deck. There is nothing like falling asleep to the sound of gently lapping water and the exotic birds cooing and crying as they cease their activity for the day. 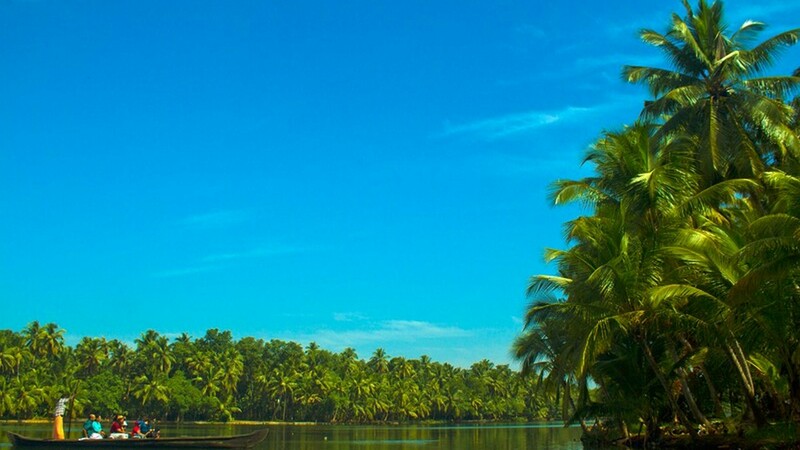 Peaceful Poovar, your next destination after a relaxing breakfast aboard your houseboat, Poovar is an isolated and tranquil location of incredible beauty. Walk along the endless golden sands and gently swaying coconut palms in this tropical paradise. 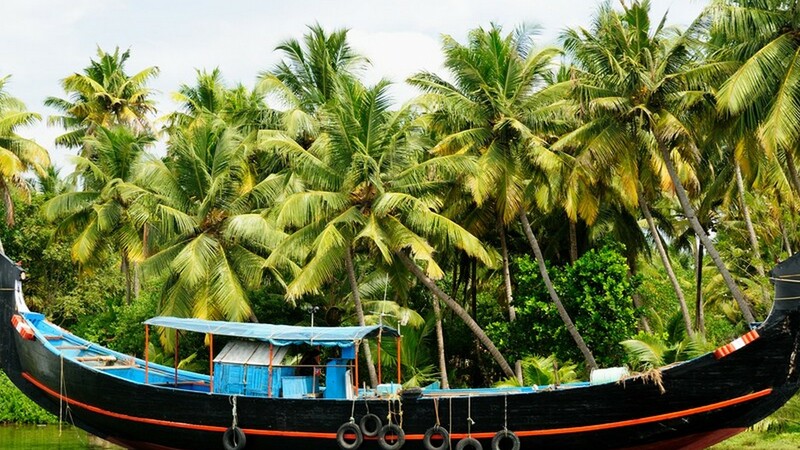 Take a cruise amongst the backwaters into hidden and unspoilt locations. Largely undiscovered, Poovar is a ‘must see’ before it becomes too well known. There are not many locations left on the planet which are so unspoiled and beautiful, the perfect destination for a honeymoon couple. 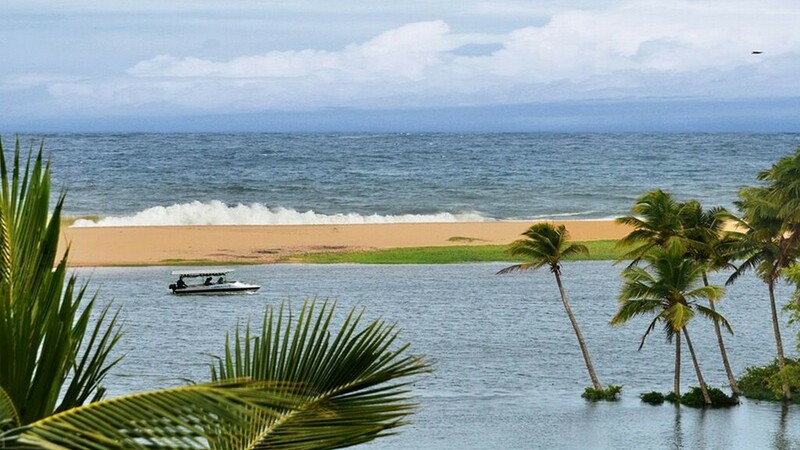 An estuary links the backwaters at Poovar to the beach at high tide. A collision of salt water and fresh water, the unique topography gives you the options of stunning exotic beaches or intriguing peaceful inland waterways. Take a trip to the natural harbour at Vizhinjam with a nautical history stretching back centuries. Always busy and bustling, Vizhinjam is quite a contrast to the peace and serenity of Poovar. A candle lit dinner is waiting for you in the evening for your final memorable night in Kerala. Bid your farewell in Indian style, take a slow pace and enjoy some last snatched memories before your chauffeur returns you to the airport in good time for your flight home. The distance covered from Cochin International Airport to Munnar, Kumarakom, Alleppey, Poovar and ending at Trivandrum is 501KM. Booked Exotic Kerala Honeymoon Package ?